The Water Ambassador Programme, will be held nationwide running from the 13th of November 2018 (Althlone, Cork and Dublin). Students that complete the training day will then share what they learnt with their schools and greater community. Ambassadors will also attend a support session in March which will provide a chance to share ideas and learn from last year’s ambassadors. The beach clean-ups will not only involve a clean-up, but will incorporate talks from coastal groups/Clean Coasts programme and practical information on how to organise your own events. Students will be required to complete a brief progress report in February (deadline Friday 15th) to advise us what support they may need during the programme. In April a short final report (deadline Wednesday 17th) needs to be submitted to communicate how they passed on their knowledge within the community. All students accepted to the programme will be Green-Schools ambassadors however, based on submitted reports, a selection of students will be chosen from each region to be Green-Schools Regional Ambassadors. 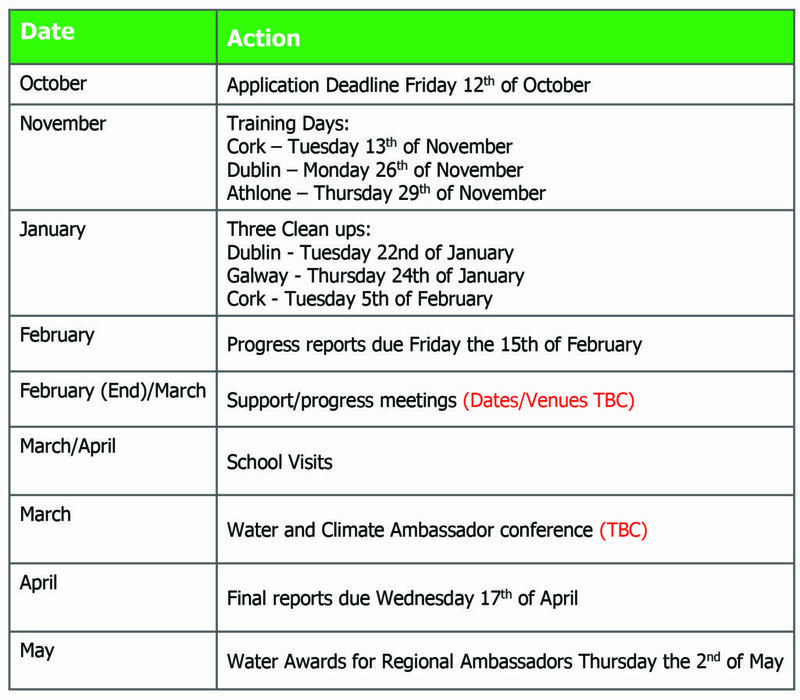 Regional Water Ambassadors will have an opportunity to apply for work experience with Irish Water. 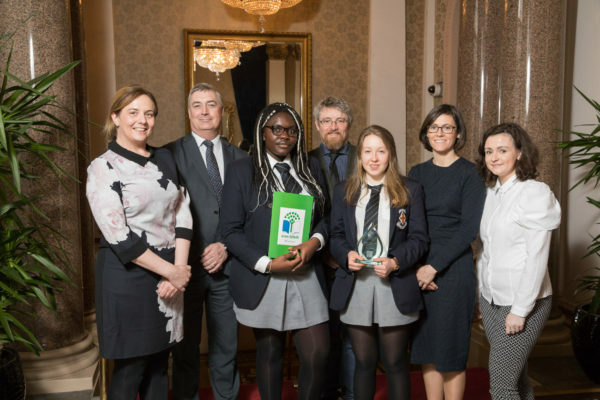 Green-Schools Regional Ambassadors, along with Green Flag Water Schools will be awarded at the prestigious Irish Water Awards ceremony on May the 2nd 2019. Deadline for applications: Friday 12th of October 2018. Download the forms below to apply.